I would imagine most golfers think that the life of a golf course architect is essentially all drawing boards, draft paper and Golf Channel interviews. Few would suspect that there is the possibility of an encounter with angry Mexican squatters. Some enlightened golfers might realize that an occasional, unplanned appointment with a wild animal, whether it walks on four legs or slithers on its belly, is a sure thing. 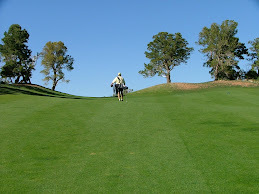 Secrets of the Great Golf Course Architects confirms all this and more. The “Secrets” are short, pithy tales from the lives of 118 golf course architects. Don’t think you’re going to be let in on a myriad of confidential information that details the thought process of developing a golf course. Rather you will read about some unusual, some oddball, and some unavoidable incidents that have occurred during the work hours of these architects. Some of the tales are interesting, some funny, and, unfortunately, a few are flat boring. This compilation was put together by radio host and author Michael Patrick Shiels with the assistance of the American Society of Golf Course Architects. Outwardly the book is visually appealing and physically challenging – it’s heavy and obviously designed to be place on the coffee table. The volume is beautifully illustrated with over 150 full-color photographs, blueprints and drawings, drawings that are fascinating and put you into the mind of the architect. You will read of incidents from the highly visible architects – Nicklaus, Palmer, Fazio, the Dye’s, and the Jones boys, but you will also hear from a host of talented, but less well-known architects who provide their adventures as well. Then there is a heart-tugging incident revealed by Rick Robbins. Robbins was scheduled to be on the ill-fated plane flight with Payne Stewart in October 1999, but scheduling conflicts prevented him from making the flight. It is a memoir that is a bit painful to read but worth absorbing. If you are an ardent golfer who enjoys discovering more about the game, you should be in possession of this revealing literary work. 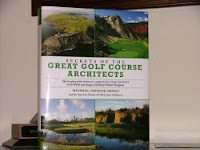 Or, if you are looking for a special gift for the golfer in your life, Secrets of the Great Golf Course Architects will do the job.